Here is a list of local programs that air on KPLE-TV. Check our program schedule for broadcast days and times. Compelling interviews from local churches, ministries and organizations. Attention Central Texas is a public service program produced by KPLE-TV. Organizations and individuals wishing to be a guest on A.C.T. should contact KPLE-TV. Airs Wednesday at 10:45am and 12:15pm and Thursday at 7:30pm. Watch now. 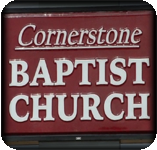 Bible teaching from Dr. Edward L. Wagner of Cornerstone Baptist Church, Harker Heights, TX. With Evangelist Dr. Trena Parker. Teaching on the Word of God in your life. Airs Friday at 12 noon. Watch now. With Dr. Cynthia Morris. Taking dominion over the works of the enemy. Family Dominion Ministries airs Wednesday at 10:30 on KPLE-TV. Watch now. 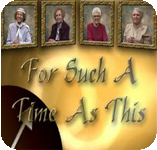 Praise, prayer and worship hour with Mother Bell, Catherine Mason, Nita Pike, and the late Jo Montgomery. This KPLE classic program airs Friday at 10:30am. Watch now. Pastors and prophets discuss God's call for the region. The Gathering Airs Mondays at 7pm and Fridays at 11:30am. Watch now. Hosted by Robin Durham of Compass Ministries. The Journey is a production of KPLE-TV that studies the Bible as talks about the spiritual journey of life. 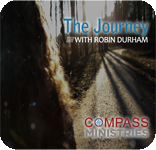 The Journey airs Friday at 7am. Watch now. With Rev. Dee Levens, Author, Teacher, and Evangelist. Kingdom Ministries airs Wednesday at 8:30pm. Watch now. 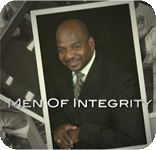 Bishop Darryl Shaw from Rivers of Living Waters Ministry leads this men's bible study. Men of Integrity, Men Recusing Men. Airs Tuesday at 8:30pm. Watch now. Songs of praise and worship by Bishop John R. Stevenson of Red Sea Baptist Church, Killeen. Airs Monday at 8:30pm. Watch now. Bible teaching from Rev. Mitzi Gibson. Program also airs in Spanish. Watch in Spanish now. 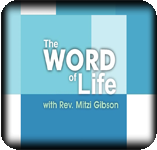 The Word of Life, English airs Sunday at 7:30am and in Spanish on Tuesday at 12 noon. Watch in English now. Bible with Bishop John R. Stevenson from Red Sea Baptist Church of Killleen. Airs Tuesday at 8:30pm. Watch now. How do you watch KPLE-TV?